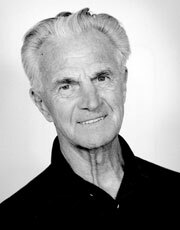 The Bruno Balke Biodynamics Laboratory in the Department of Kinesiology was named in honor of Dr. Bruno Balke, Ph.D., M.D. 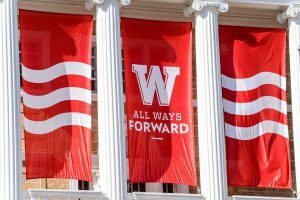 in 2011 to honor the significant contributions Dr. Balke made to the University of Wisconsin-Madison, the Madison community and to the entire field of exercise physiology. Dr. Balke Biography Bruno Balke was born September 6, 1907 in Braunschweig, Germany. He completed his medical degree at the University of Berlin and was then recruited as the team physician for a German expedition to the summit of Nanga Parbat, a Himalayan mountain cresting at 26,700 feet. This experience inspired his life-long interest in human performance under extreme environmental conditions. During WWII, Dr. Balke served in the School of Mountain Rescue in Tyrol where he studied the impact of environmental factors such as cold, heat, and altitude. He completed his Ph.D. on physical performance capacity at high-altitude in 1945. In 1950, Dr. Balke was recruited to join the staff of the United States Air Force School of Aviation Medicine in San Antonio, TX. He directed many significant human performance studies on U.S. airmen with interventions of bed rest, blood loss, altitude and hypocapnia. Also, during this time, he framed the rationale for “aerobic training.” From 1960-1964, Dr. Balke headed the Human Biodynamics Section of the Civil Aeromedical Research Institute of the Federal Aviation Agency in Oklahoma City. Here, he performed pioneering research on exercise intervention and testing in coronary artery disease. As a result of his work, heart patients now follow an exercise rehabilitation program rather than bed rest. In 1964, he accepted a position as Professor of Physical Education and Physiology at the University of Wisconsin-Madison. Dr. Balke retired from the University of Wisconsin in 1973, but continued to contribute to the profession until his death in 1999 at age 91. Strengthened the graduate program in exercise and environmental physiology. Dr Balke attracted graduate students from all over the world. The Exercise Physiology program grew and thrived under his leadership. His 30 graduate students serve as his legacy in that they became researchers, teachers, practitioners, and leaders in the field of exercise physiology. Initiated a Faculty Exercise Program. The Faculty Soccer Group, still active today, began in the late 1960’s when Dr. Balke set up an exercise study involving middle-aged professors. First exercise physiologist to chart the precise relationship among oxygen consumption, exercise and cardiovascular health. He was an early advocate for exercise for heart patients at a time when bed rest was the general prescription. In 1967, led a committee to develop the American College of Sports Medicine journal, then called Medicine and Science in Sports and served as its first editor. The journal is now called Medicine and Science in Sports and Exercise and is one of the leading exercise journals. His writings on exercise testing and prescription led the way to the development of the American of College of Sports Medicine Guidelines for Exercise Testing and Training. He is the “father” of American College of Sports Medicine Certification in exercise testing and training. He developed training programs to prepare exercise physiologist for certification in exercise testing, exercise prescription and cardiac rehabilitation. In summary, Dr. Balke was a visionary in terms of the application of physiology to many different problems: high-speed flight, performance at altitude, performance of elite athletes, and fitness programs for ordinary adults and cardiac patients. He published in all these areas and made lasting contributions. Probably his most important contribution was training graduate students who have become leaders in the field of exercise physiology multiplying his impact on the profession.